Get a $50 Direct Energy Visa® Prepaid Card for every friend you refer that becomes a Direct Energy customer & your friends get a $50 Direct Energy Visa® Prepaid Card too. 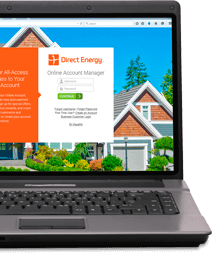 You get a $50 Direct Energy Visa® Prepaid Card for each friend you refer that signs up for Direct Energy. Your friends gets a $50 Direct Energy Visa® Prepaid Card because they used your code when signing up. There is no limit to the amount of $50 Direct Energy Visa® Prepaid Cards you can earn! Got questions? Check out our Frequently Asked Questions and be sure to visit our Terms and Conditions.